Removed by original poster on 02/10/18 - 22:00:13 (GMT). You might want to spray a blotchy red-brown on the inside of the fabric areas and then go over the frames with your paintbrush with interior green. The first coat of dope to go on was tinted red to allow the Erks to see where they sprayed it, and that was visible through the inside of the fabric. Makes perfect sense. I will have to think on that one for awhile. Work'n on giving the Lizzie some teeth! You can just see one of those big .303 mags above the twin muzzles. My work today includes the beginnings of the two high capacity .303 magazines for the install. 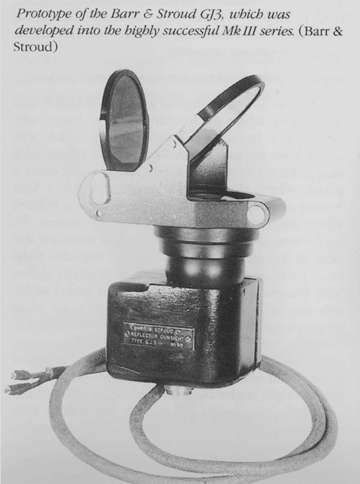 This photo shows only a temporary mount. 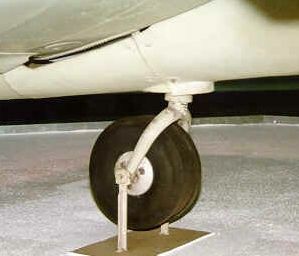 The actual mount will be somewhat more forward in the aircraft. 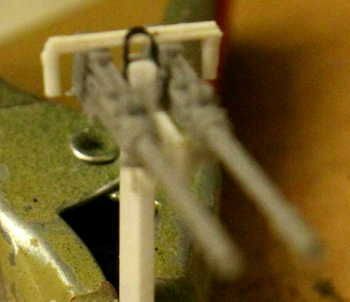 Here the twin guns are mounted on a painting stalk for construction handling. 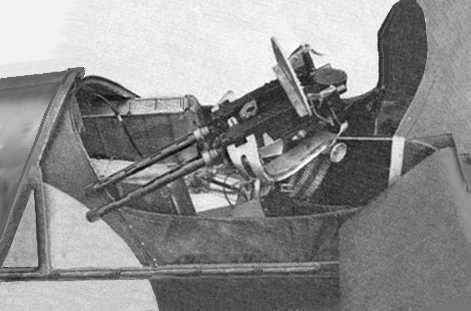 The actual gun mount appears in the lower right corner of the photo. 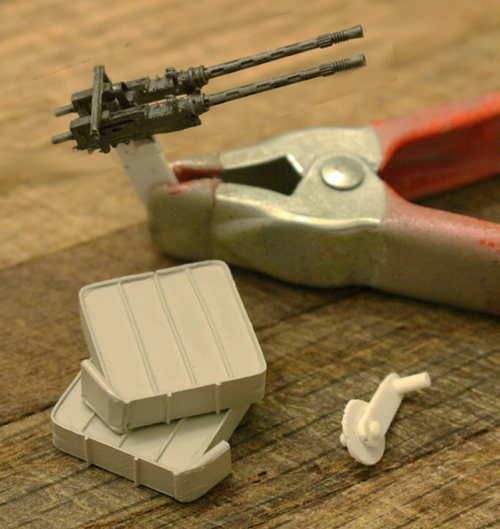 Still have many problems to solve on the issue of belt feeds for the guns. 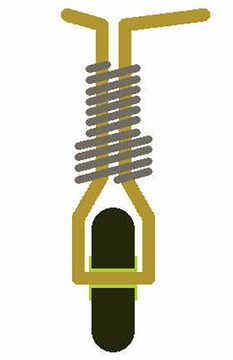 The brass will definitely be stronger than the plastic. 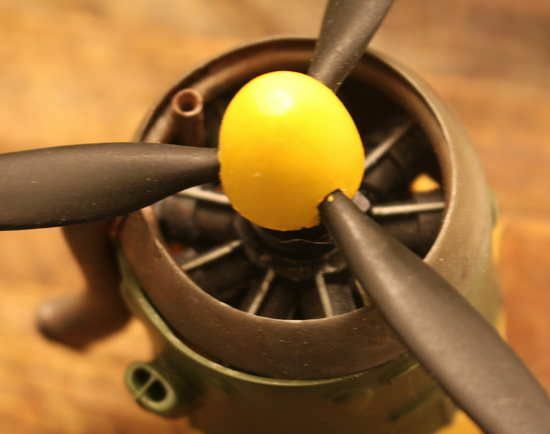 This metal yolk will no doubt survive more accidental abuse than the lightweight plastic piece ever would. 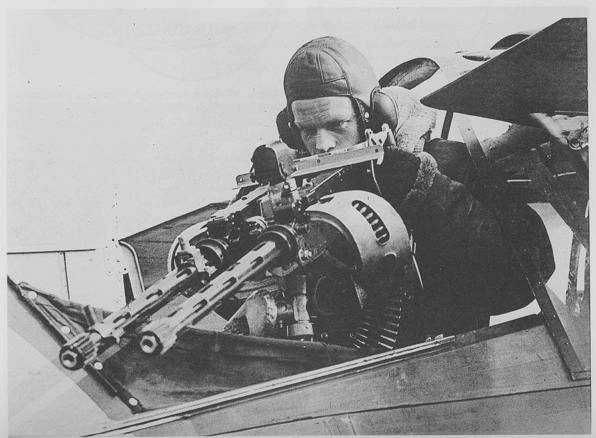 This photo was published in a 1943 issue of "Flight Magazine". 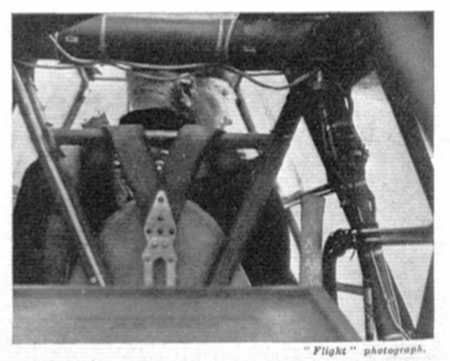 It clearly shows the pilot of a Lysander as wearing a shoulder harness style seat belt. 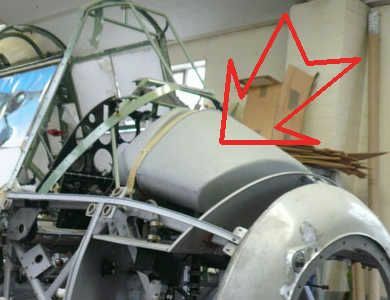 I built up and installed the front profile plate of the engine oil reservoir (see red arrow) just in case it could be seen around the edge of the instrument panel. Above photo from the Aircraft Restoration Company used here for research and discussion only. 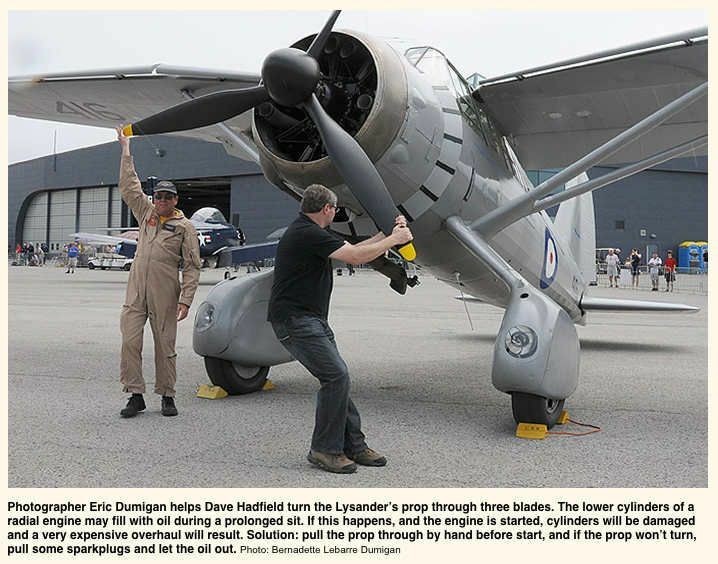 Here are some motivational links about the Lysander at Vintage Wings Canada. If you are a pilot (I am not) you might even find it more interesting. Thanks Robbie. I had seen the first article but the second was new to me and very entertaining! Every such article I read says the Lizzie had definite special talents but all seem to agree it was a handful to fly. Have wondered why they never modified the aircraft to allow for manual control of flaps and slats just to take some of the buck out of the mare? Note the caption below the photograph. This is true for any radial engine even radial engined Shermans. 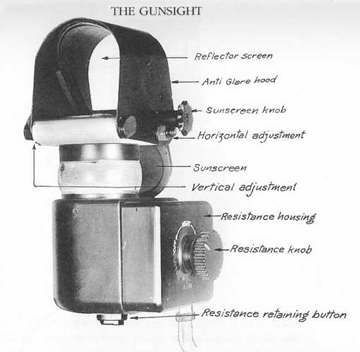 On the radial Sherman, there is a hole, center rear; you insert the engine crank there and you can turn the engine over with the ignition switch in the off position. Photo comes from Matt Hall's thread. 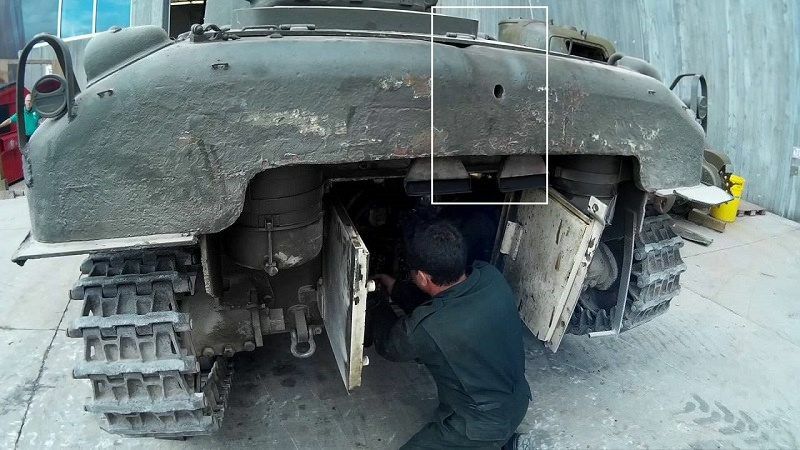 Never actually had to do the cranking but I have witnessed this operation being done at the Patton Museum on Shermans that have sat for some time. Of course the GAA and multi-bank engined Shermans do not have this concern. The rear storage and ballast compartment. This area is accessed by opening one of the two small window/doors near the tail. 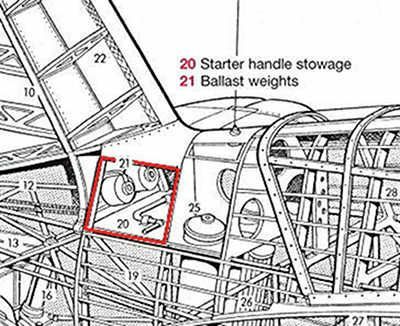 The compartment contains the engine starter crank and the adjustable flight load balance weights. Swivel pintle built for the twin Brownings. 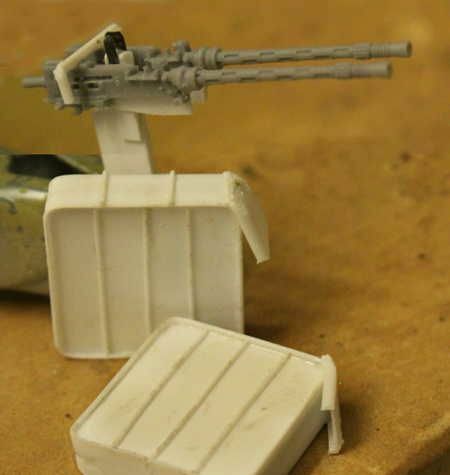 A little crude but parts so small that should not matter. 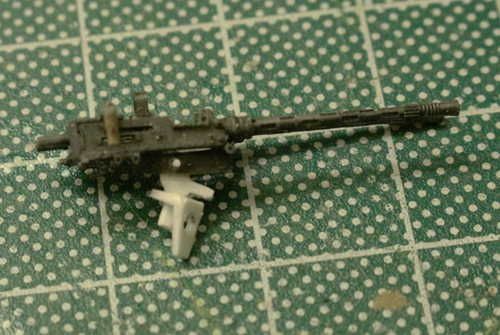 The sad part is I have so much work left to do on the Lysander I don't dare mount the weapons. They would no doubt get broken while finishing up the rest of the aircraft. Still need to work out the belt feed issues between the magazines and the guns. Well I think I have now over come my 51 year canopy-fobia. For the Lysander I tried die-cut, pre-cut after market masks. 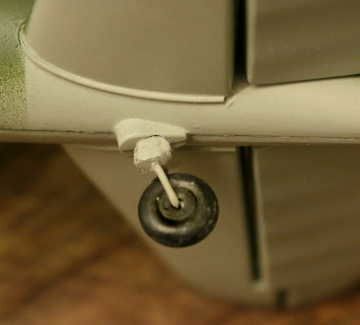 Now I am on to building a Revell Arado 196 and using a different process. The pre-cut masks are just a tad smaller than I would like relative to the size of the windowpane. They don't quite fill the space and can be put on slightly crooked because of this. 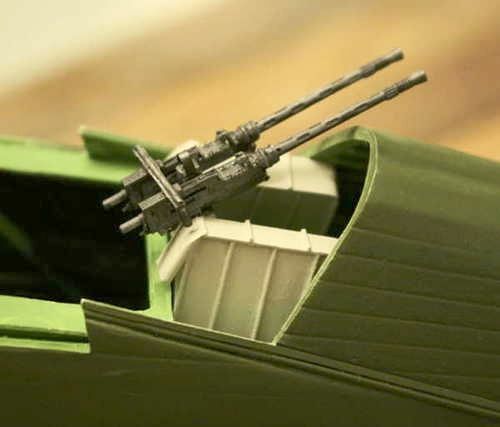 Saw this next process on a YouTube video: For the Arado I used Tamiya masking tape. Placing the tape on the glass, I first went around the edges of the windowpane with a technical pencil. 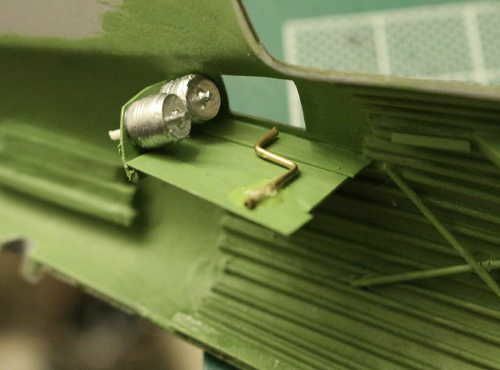 This pushes the tape tightly into the edges and corners of the pane. Using a brand new #11 Hobby blade I went over the pencil line lightly to cut out the mask. Removing the excess tape I how had a perfectly sized widow mask ready for painting. 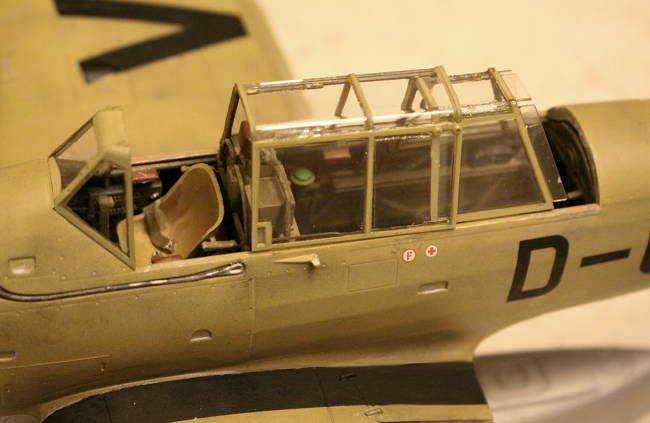 One more item of possible advice: After masking the entire canopy I first spray it with a coating of Matte Clear (the Tamiya stuff is better than the Model Masters - in MHO.) The clear seals the tape edges and makes the final coat of paint less likely to creep under the taped edges and go where it is not wanted. (I use Matte clear rather than Gloss Clear as it is less runny than gloss so it is also less likely to go where it is not wanted. AND I think the top coat of finish paint adheres better to the matte than the glossy. My habit then is to first spray the interior frame color and then the exterior. I have yet to try the trick of masking the INSIDE AS WELL and painting both the inside and outside of the canopy separately. 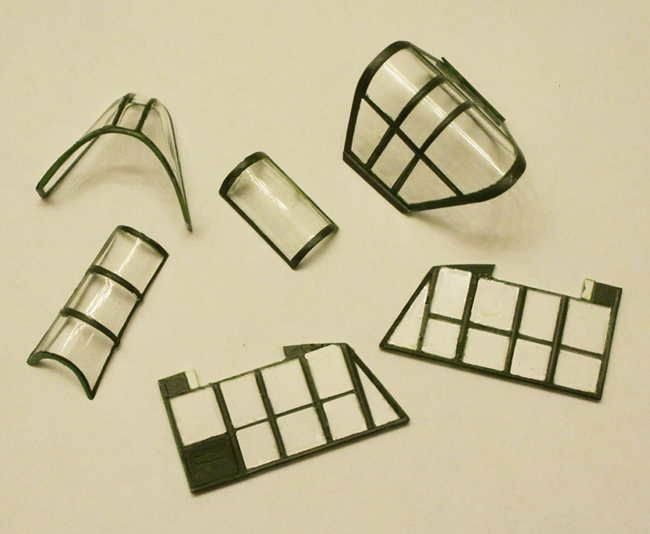 Remember to cover the inside of the canopy in some way so that any possible over spray from doing the outside does not get on the inside surface of the glass and ruin all your fun. Maybe not prefect but WAY BETTER than the B-25! 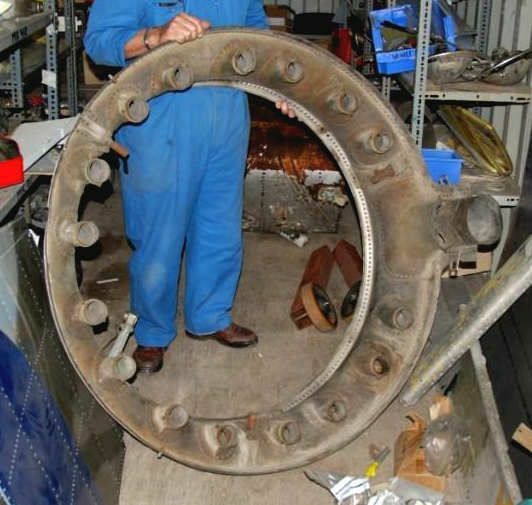 Rare photo: Back side of exhaust collector ring of Lysander. Wow ! IIRC this was a bronze casting - impressive ! Yes, due to the extreme heat the entire ring was made of bronze and left unpainted. 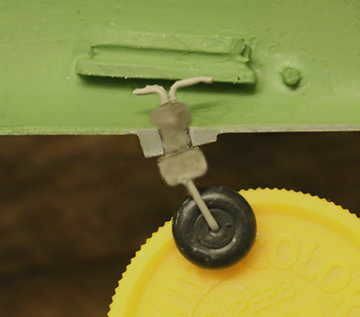 This explains the different body color for this part as spec'd on the Matchbox/Revell model. Was it cast or built up of riveted bronze sheet? In the photo I see many, MANY rivets around each cylinder exhaust intake and around the output plenum. Those .303's look ready to rock Michael! Yes, due to the extreme heat the entire ring was made of bronze and left unpainted. 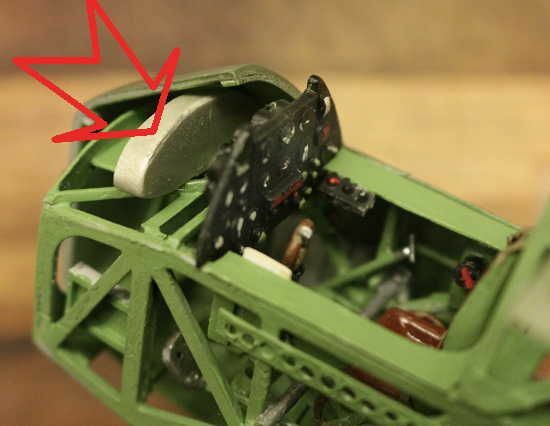 This explains the different body color for this part as spec'd on the Matchbox/Revell model.Was it cast or built up of riveted bronze sheet? In the photo I see many, MANY rivets around each cylinder exhaust intake and around the output plenum. You may be right - a riveted bronze sheet stamping would likely weigh less - important when building aircraft ! I think the Fairy Swordfish used a similar arrangement.